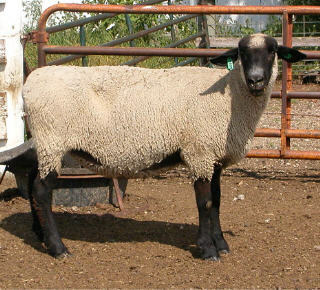 Hampshire ewe in the U.S. The breed was developed in the Huangchen District of Gansu Province, China, which has an altitude of 2,600 to 4,000 m (8,530-13,123 ft), an annual mean temperature of 0 to 3.8°C (32-39°F), an annual precipitation of 257 to 461 mm, and an average humidity of 35 to 58 percent. The sheep are well adapted to this particular ecological condition. The average weight of grease fleece in ewes is about 4.6 kg (10.1 lbs), and the wool quality is 60-64's (20-25µm). 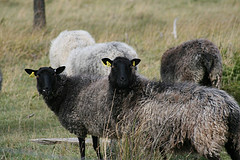 Westfalia, with its high precipitation was the perfect area for the Schwarzkopf Fleischschaf, and it is still the main breeding area. 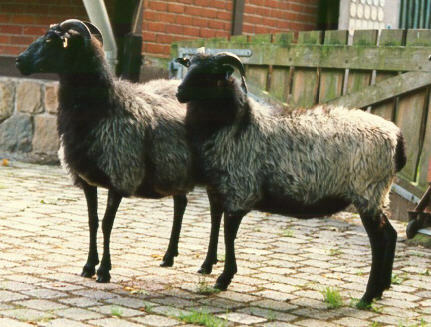 German Blackheaded mutton sheep are medium-sized, white sheep that are wide and long with dark-brown to black head, ears, and legs. They grow crossbred wool with a tight and firm staple that protects them in a wet climate. The German Gray Heath is the symbol of the Lueneburger Heide in Germany. Their ancestors, the Mouflon were at home in Corsica. 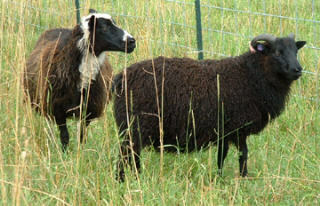 Single lambs are born in spring with a curly, black fleece. After the sheeps first yearly shearing, its wool turns silver gray with a black bib. 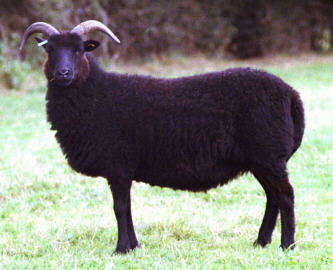 Head and legs are black and free of wool. 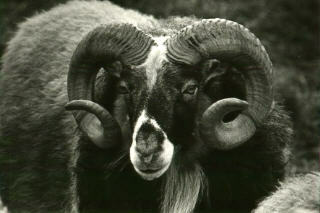 Rams weigh up to 80 kg (176 lbs) and have imposing horns that curl close to the face. 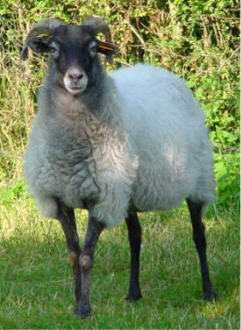 Ewes weigh about 45 kg (100 lbs) and have short horns. Their meat tastes like venison. 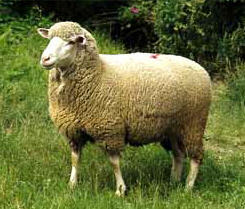 The dual-coated fleece of a ewe weighs 2.2 kg (4.4 lbs. 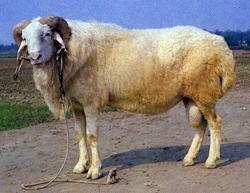 ), of a ram 4 kg (8.8 lbs).. The coarse, straight outer coat is 25 cm (11.4 in.) long. The downy underwool grows 6 cm (2.7 in) long and has a fiber diameter of 25-30 microns. The wool used to be sent to Belgium and Turkey to be worked into carpets. 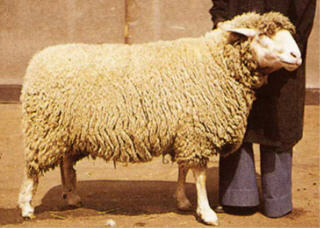 This sheep was large, prolific, and could march, and its wool had a fiber diameter of 33 to 36 microns. 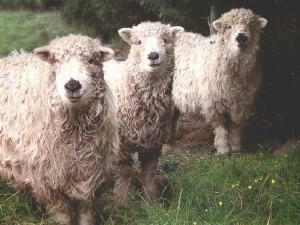 Later, Merino wool sheep from Spain and France were used to improve the wool quality. 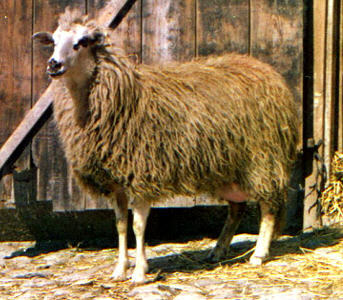 The Merinolandschaf has a large frame, a straight head with a small woolly tuft on top, no horns, and rough, large ears that stick out to the side, with legs free of wool. It is in no way a landrace, but a highly adaptable breed. It is suited for intense production in arid or in agricultural areas. It is highly resistant and easily adapts to any climate and keeping conditions. It grows easily with good meat yield. 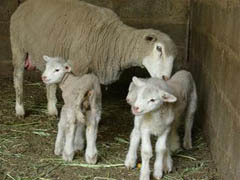 Non- seasonal breeding cycle (3 breedings in 2 years), high fecundity, and good mothering instincts make the Merinofleischschaf a good choice for intense milk-lamb production. This breed was developed along the North Sea coast in the middle of the last century. 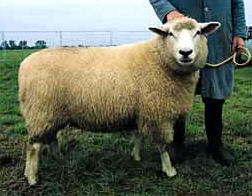 English Leicester, Cotswold, Hampshire, and Oxfordshire were imported and crossbred with the local Wilstermarschschaf, a northern German marsh sheep. 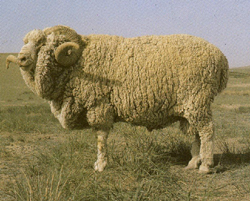 Breeders succeeded in retaining the wanted qualities of the marsh sheep, such as high fecundity, fast development, and large size. 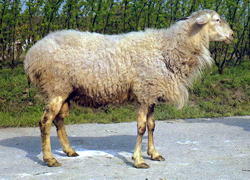 In the 1930s, a new breed, the Deutsches Weißköpfiges Fleischschaf started to roam the grassy areas next to the North Sea. It is the perfect breed to withstand the rough, damp sea climate and suited for life on the dikes. The sheep fatten on the lush dike grass, pound down the earth and encourage new grass growth, thus helping to stabilize the North Sea dikes which makes them resistant against storm floods. The sheep need to be rugged and to protect them against the weather, they have a long, rough fleece with a fiber diameter of 37 to 41 microns. 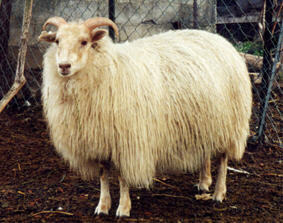 The white wool, also known as Eider wool, has a good crimp which is unusual for such rough wool. Lambs are born black and grow quickly, many turning to grey as they mature. 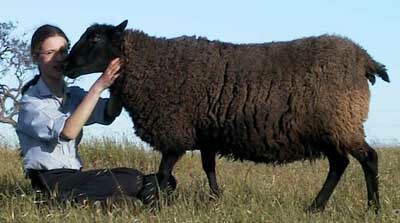 Gotlands produce a quick growing, lustrous, colored, curly fleece of medium micron. The Gotland is found throughout Sweden where it is kept for its pelt and meat production. 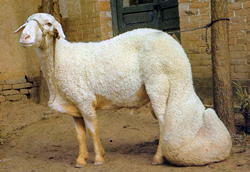 The breed was recently established in the United States via artificial insemination. 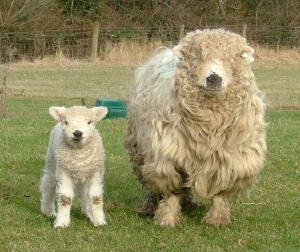 The Dartmoor fleece is classified as Lustre Longwool. They are a medium sized sheep (approx. 60 kg/132 lbs), hornless, deep bodied, short legged, with well woolled head and legs. The white face should be mottled or spotted with black or grey with matching feet. Except for about 5 percent which are black, the color of their medium-fine fleece varies from reddish-brown to yellow-white. Sheep with white coats are not considered pure. The coat color of newborn lambs is a rich, reddish brown, which gradually lightens, becoming at full maturity, a dirty-cream color. Guirra means "reddish" in the Valencian dialect. Sudat means greasy, in reference to the oily condition of the uncleaned wool. Guirra sheep are raised almost entirely for meat. The main market is for "cordero pascual," Eastern lamb butchered at 2 to 3 months of age. Gulf Coasts are best known for their resistance to internal parasites. The Florida Agricultural Experiment Station in Gainesville has a flock which has been maintained without the use of anthelmintics since 1962. 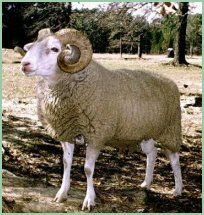 The Gulf Coast Native is classified as a "critical" breed by the American Livestock Breeds Conservancy. 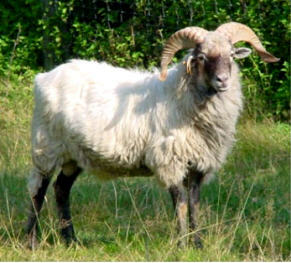 Both rams and ewes have two well-developed, slightly turned, converging or diverging, symmetrical horns which are strongly curved and deeply ringed. The rams' horns are large and strong; the ewes' are thinner. Gute wool is coarse and may be straight or wavy. It is a mixture of fine wool, long coarser hair, and kemp fibers. Most sheep shed their fleece partly or entirely in the beginning of the summer. Importations in large numbers did not resume until the 1880's. 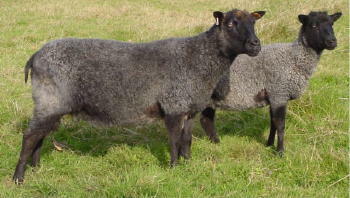 Hampshires are a large breed, with black faces and legs and wool on the legs and head. 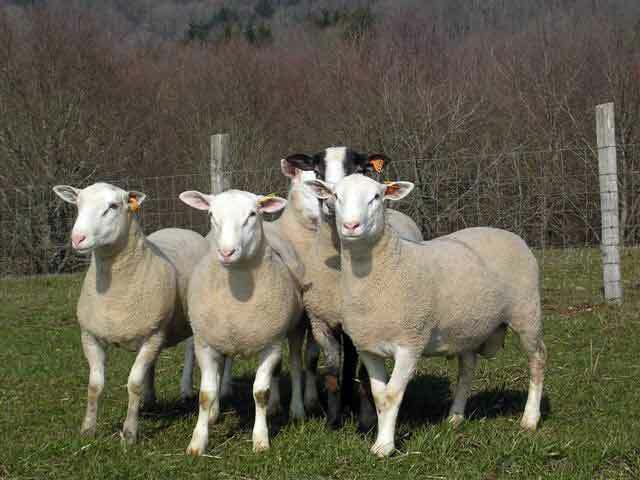 Their fast growth rate and superior carcass merit make them a popular choice to sire crossbred market lambs. Since the tail is too heavy for the sheep to move around easily during grazing, this type (or breed) is only adaptable to the plains. 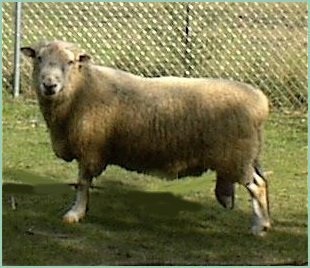 Han sheep are precocious and highly prolific, their fecundity levels being 163% for the Large-tail Han and 229% for the Small-tail Han. Recent reports have given even even higher figures of 192 percent for the Large-tail Han and 270 percent for the Small-tail. They name Herwick is derived from an old Norse word that means sheep pasture. 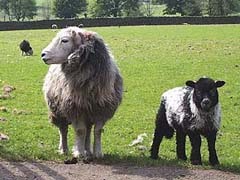 It is believed that the ancestors of Herdwick sheep were introduced by early Norse settlers. 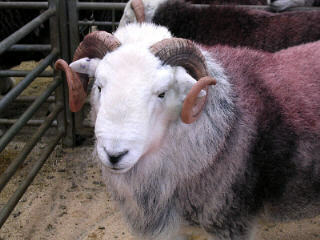 Herdwick sheep are considered the most hardy of British hill sheep. They are raised mostly in the central and western dales of the Lake District and are noted for their foraging ability in rough terrain. 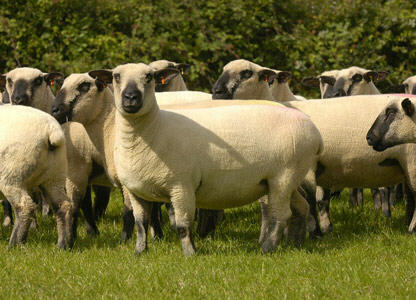 They produce a good crossbred lamb, but their wool is considered to be of low quality and low value. The produce a coarse, grey wool, a carpet wool. 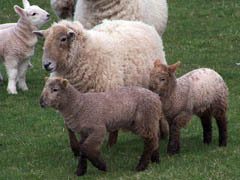 Gunston Hall Plantation in Fairfax County, Virginia, eventually became the owner of the greater number of these sheep and exhibited them as part of their replication of 18th century plantation life. 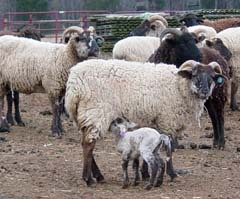 Hog Island sheep evolved and survived for over 200 years in an extremely harsh environment on a limited diet and no medical attention. 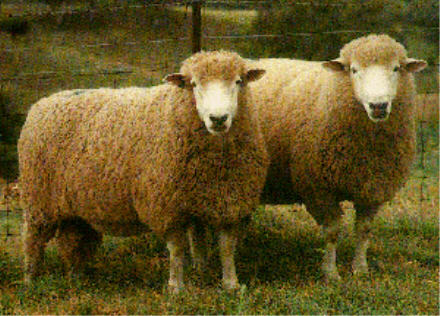 It is estimated that there are approximately 200 Hog Island breeding ewes, mostly in Virginia. 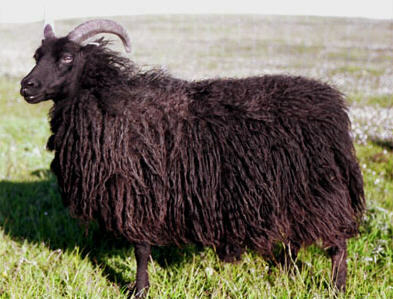 The fleece from Icelandic sheep has an inner and outer coat typical of the more primitive breeds, and it is the wool for which Iceland is known. 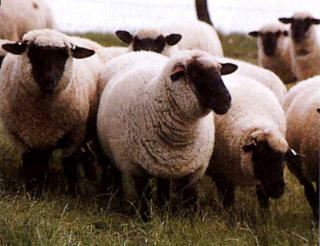 It is illegal to import any sheep into Iceland. The Ile de France is the result of crossing the English Leicester and the Rambouillet. 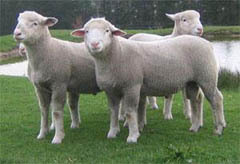 The breed was originally known as the Dishley Merino. The breed is widespread in France and was introduced to Great Britain in the 1970's. The breed is wide and thick set. Both sexes are polled. The Ile de France is widely used throughout the world as a terminal sire for quality lamb production. 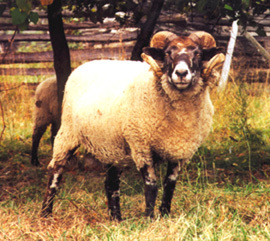 The creation of the INRA 401 sheep bloodline began in France in 1970, after a series of experiments crossing the Berrichon du Cher x Romanov which began in 1963 with the Romanov breed. Matings were carried out for several successive generations, between breeding stock of the same generation chosen in priority to maintain the origins represented in the foundation generation. The INRA 401 is a highly productive ewe, with a 200 percent prolificacy, excellent out-of-season fertility, good milk production, and outstanding mothering ability.